It invites you to explore and indulge in its grand diversity! Yes, whiskey or whisky . . . no matter how you spell it is carefully crafted from fermented grain mash; usually corn, barley, rye or wheat. Aged in wooden casks, and artistically created with a wide range of variables. 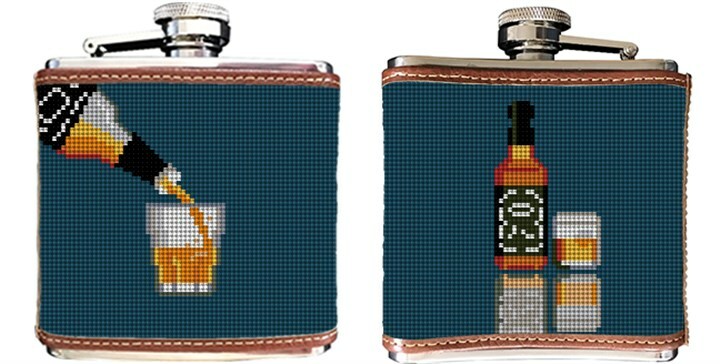 We have created a Whiskey needlepoint flask canvas, perfect for creating and later to use for your favorite spirit. Please feel free to exchange one image for a monogram.